As Algeria’s oil wealth dries up, people are demanding to know where the money has gone. 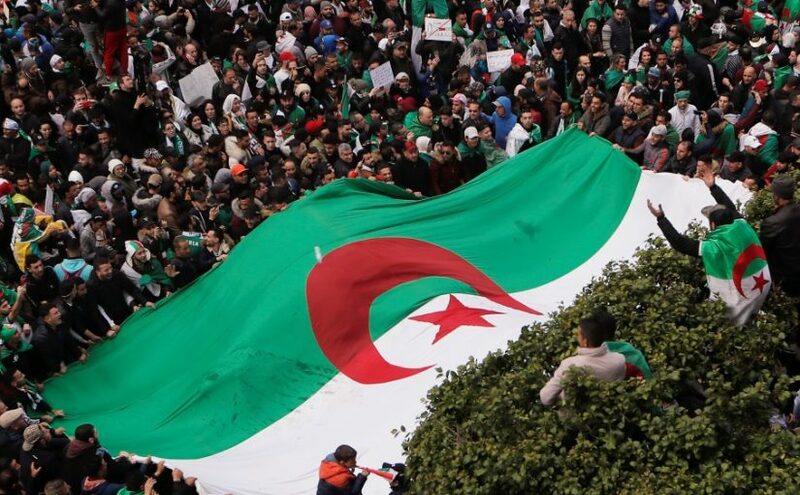 Corruption, youth unemployment and inequality have been at the centre of protests against the 20 years of rule by Algeria’s president, 81-year-old Abdelaziz Bouteflika. The country’s wealth has been squandered. It had currency reserves of $179bn in December 2014, but that has shrunk to $79.8bn. Rather than using the oil and petrol wealth to diversify the economy, more than a fifth of Algeria’s budget is used for subsidies. The International Monetary Fund (IMF) says Algeria’s oil and petrol revenues account for 95 percent of its export earnings and 60 percent of its budget. But oil prices have been falling and the country’s oil and petrol production has also been in decline due to a lack of investment – meaning there isn’t the money to fill the coffers. Unemployment in Algeria is running at 11.1 percent. But youth unemployment stands at 26.4 percent for the under 30s, who make up two-thirds of the country’s 41-million population. 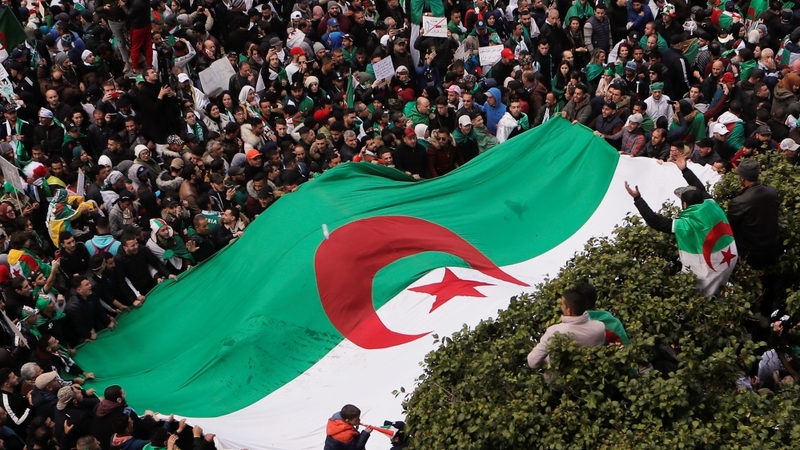 Taieb Hafsi, strategy and society professor of management at the HEC Montreal, talks to Counting the Cost about the issues behind the protests and the challenges facing Algeria’s oil-reliant economy. “The problem with oil is that it has generated a rent-seeking behaviour … and its not just the people at the very top who are rent-seeking. Bureaucracy is rent-seeking, private firms are rent-seeking, even the population is rent-seeking. So you have this incredibly lazy demeanour and of course that rent-seeking leads to corruption. As a result, if you will, it [oil] is a real curse … When you think about trying to diversify away from oil … then you have to realise that business is a source of power, so the government has been trying to keep it under control,” Hafsi explains. However, Hafsi believes there is still a cause for optimism for Algeria’s economic future. “The Algerian economy is really paradoxical … it’s very poorly managed and seemingly doomed, but also at the same time you see some very thriving segments,” he says. What will Rome get from Beijing’s Belt and Road Initiative? Britain’s decision to join China’s challenger to the World Bank drew a quick rebuke from Washington. The US claimed the Asia Infrastructure Investment Bank would extend Beijing’s soft power. Three years on, the decision by Italy’s new populist government to sign up for investment from Beijing has raised concerns in Western capitals. The US National Security Council warned: Endorsing the Belt and Road Initiativelends legitimacy to China’s predatory approach to investment and will bring no benefits to the Italian people. Those concerns are already playing out. China’s largess is entrapping vulnerable nations in debt. You may recall Sri Lanka fell behind with payments and had to hand over a vital seaport that had been built with Chinese loans, on a 99-year lease. Pakistan’s attempts to negotiate an IMF loan have been complicated by Washington’s unwillingness for the money to be used to pay back Beijing’s loans to Pakistan. And in Djibouti where the US has a military base, China opened its first overseas base. At the same time, the country’s debts have soared to 80 percent of gross domestic product from 50 percent. In Italy’s case, it has a debt of 2.3 trillion euro ($2.6 trillion) and pays 64 billion euro ($72.5bn) every year in interest payments. Should it get into trouble, the European bailout fund would not be able to save the country. China’s President Xi Jinping hopes the two countries can work together on everything from ports to telecoms and pharmaceuticals to football. “It’s fine that they are reaching out. China is a great market for them … but it’s important to keep in mind, their first relationship should be with the EU and also with the US, given the membership in NATO and in the G7. So I think that they’ve gone a little overboard. Is it the end of the world? I don’t think so,” says Swenson. According to Swenson “just embracing China, borrowing more money is not the answer” to Italy’s economic woes. 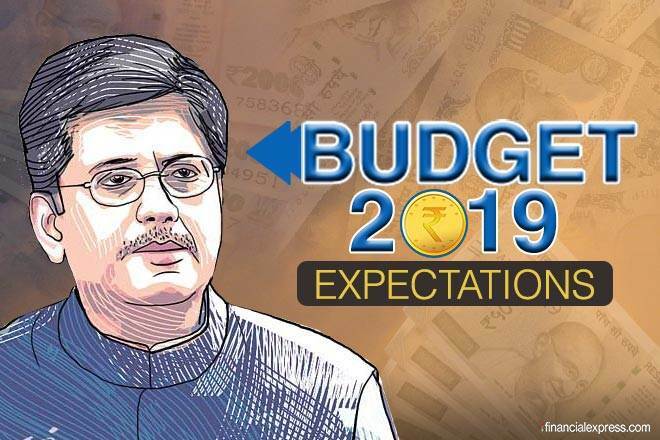 Budget 2019 Expert Opinion on Budget Expectations: There is now broad consensus that the upcoming interim Budget 2019 will be geared towards bolstering the current government’s polling prospects in the general election. Several reports indicate that the government will use the opportunity to appease impoverished sections of the Indian society and the mercantile community. The remainder of the budget, pundits deem, shall be rife with promises of what the government hopes to do, should it make its way back into power for another term. Given the government’s emphasis on technology policy over the last few years, with the release of Draft Data Protection Bill in 2018 as well as several consultation papers ruminating the possible regulation of different aspects of the technological realm, it is not unreasonable to expect items addressing these issues in the interim budget 2019 as well. If these speculations are indeed accurate, one hopes that the government has factored one critical facet of the broader digital sphere into its vision for 2019 and beyond – the creative industry. The creative industry, a broad term for what is essentially the media and entertainment sector, presents an important economic opportunity for India. It is one of the fastest growing segments of the Indian economy – recording an annual growth rate of 11.2 percent in 2016. It is also a key source of employment generation for India – an important consideration as the country needs to generate 10 million jobs per year to prevent mass unemployment. A report by the Boston Consulting Group predicts that the creative industry has the potential to generate 7 – 800,000 jobs over the next few years. Notably, a majority of these jobs could be relatively immune to automation. A study by NESTA reveals that 87 percent of creative workers are at low to no risk of losing their jobs to a machine. Despite all its trappings, however, India’s creative industry fails to extract substantial value from its products, when compared to other developing economies. Notably, it generated only USD 18 billion in revenue in 2016, accounting for about 1 percent of India’s GDP. Comparatively, South Korean creative industry revenues in 2016 totaled a whopping USD 89 billion, accounting for 6 percent of the country’s GDP. Part of the reason why South Korea’s creative sector is so successful is because the country’s government is heavily invested in fomenting its commercial ambitions. For instance, the South Korean government makes a concerted effort to maintain a robust intellectual property rights (IPR) regime. IPRs are the life-blood of the creative industry, as they serve as the vehicle through which creators can monetise their work. One of the pillars of a robust IPR regime are measures to mitigate the piracy of creative goods. Towards this end, South Korea has enacted a stringent copyright law to safeguard the interests of its creative industry. Further, and more importantly, it recently launched a special anti-piracy unit known as the Copyright Infringement Response Team (CIRT) for the effective enforcement of the provisions listed in its copyright legislation. India has taken some initial steps towards improving its IPR regime with the induction of national IPR policy that has better IPR enforcement as one of its purported goals. However, little has been done to convert this policy promise into effective practice. Illustratively, according to a study by Digital TV Research, India’s concerted failure to counter copyright piracy of film and television content alone will cost the Indian economy 3.1 billion dollars in 2022. Though laws are being enacted in India to counter piracy, such as the recent amendment to Cinematograph Act which threatens to severely penalise anyone who attempts to make unauthorised copies of cinematographic films, the efficacy of these provisions is questionable. A historical analysis of India’s copyright law reveals that an increase in the stringency of penalties does not generally translate into a reduction in copyright piracy. For instance, the 1984 amendment to the Indian Copyright Act made it easier for police to seize pirate works. But it was an ineffective deterrent to piracy as most piracy cases did not culminate in convictions, due to capacity issues within the police force. Thus, unless anti-piracy law is accompanied by efforts to mobilise and train the police to carry out its enforcement, it is effectively toothless no matter how severe its penalties are. For Budget 2019, the government should, then, take a leaf from South Korea’s playbook and look to allocate resources towards the creation of India’s own anti-piracy enforcement unit. Such a measure would be a good starting point towards unlocking further value for one of the country’s most significant economic imperatives – the creative industry. During the past five decades, the Lion City has built a strong reputation as a global business and tourism hub, attracting an ever more discerning and cosmopolitan community of global travellers who seek to immerse themselves in different cultures and build deeper connections with each visit. Singapore has worked hard to develop a reputation for infrastructure, safety, stability, connectedness and accessibility. It is no wonder it has been designated a UNESCO Creative City of Design, or as Ernesto Quinteros, chief design officer at Johnson & Johnson likes to call it, ‘a hybrid-vigour epicentre’ for a global talent pool of designers, architects, thinkers, engineers and entrepreneurs, and ‘an East-meets-West intersection of design and technology, fashion and tradition’. Even more visual music and eye candy is currently under construction at Jewel, a S$1.7bn ten-level development at Changi airport that, when completed in 2019, will feature an ambitious mix of mall, check-in, hotel and transit facilities, complete with a five-storey-high garden and a 40m waterfall. The enterprising, persevering hybrid vigour spirit is articulated in a new Singapore Tourism Board tagline, ‘Passion Made Possible’, intended to market Singapore on the global stage for both tourism and business. A collaboration between the Singapore Tourism Board, Economic Development Board and the Ministry of Communications and Information, the agencies’ first joint brand is a bold move to showcase Singapore’s unique attitude and mindset. ‘With “Passion Made Possible”, STB is presenting a brand that can tell a fuller Singapore story beyond just tourism,’ explains Lionel Yeo, chief executive of the Singapore Tourism Board. Designed to build a deeper and more personal connection with Singapore’s millions of visitors, and to serve as a unifying brand for Singapore on the international front, the ‘Passion Made Possible’ brand is aimed at ‘sophisticated tourists who are seeking more aspirational value propositions in their travel’. The October issue of Wallpaper* – our landmark 21st birthday edition – includes a Singapore Revealed special supplement, bringing the island city state’s ‘Passion Made Possible’ philosophy alive via a profiles, products and destinations. Edited by Wallpaper* contributor Daven Wu, the project channels the zeitgeist to explore the personalities, activity and industry generated by Art Stage Singapore, the Singapore Biennale and Singapore Design Week – all now well-established events on the calendar. Sometimes you don’t need to look under rocks to find the objectionable. The auction for T20 cricket’s Indian Premier League (IPL) broadcast rights, across geographies and media, has amplified the asymmetry in regulatory frameworks operating in the creative economy. The entire issue should also help triangulate a policy conversation between competition law, intellectual property rights and a sectoral regulatory/legislative narrative that has failed to comprehend the dynamics of India’s growing media and entertainment industry. Star Group’s winning bid for IPL media rights was made via a transparent process. But the voluble protests preceding and following it have their roots in the Indian economy’s enduring legacy of cronyism and government patronage. Even if we move beyond the immediacy of the complaints and try to focus on the larger picture, the state of strife and conflict does underscore the need for regulatory reform in the creative economy. Specifically, it highlights three issues: multiplicity of regulators leading to lack of clarity on regulatory jurisdictions; need to grant supremacy to Indian Copyright Act—which governs creation, broadcasting and monetization of content—over a plethora of other laws and regulations that are stifling legitimate rights of content creators; and, finally, whether the 20th century mode of administered pricing for content produced in the private sector for sale in the open market can still work in the 21st century. At the heart of the debate is the difference between monopoly over content and content monopoly. Monopoly over content arises when the content creator has the sole right, granted by law, to monetize the intellectual property embedded in the content for a specific period of time. Content monopoly arises when there is only one content producer in the entire industry and can hold distributors and consumers to ransom, which is clearly not the case in the India. However, the extant regulatory framework seems to be ignoring these nuances and apprehension over content monopoly seems to have engendered systems that grant subordinate status to the Indian Copyright Act for broadcasting organizations, which is in contrast to global norms. Indeed, indications about content’s future were discernible in the IPL auctions: Facebook’s Rs3,900 crore bid for digital rights (for the Indian Subcontinent) trumped Airtel’s Rs3,280 crore and Reliance Jio’s Rs3,075.72 crore bids. Though Facebook eventually lost out to Star’s consolidated bid, the incident demonstrates how digital content is clearly the next battleground and how companies are according supremacy to content. It also brings into sharp relief the question of net neutrality and the role of gatekeepers. This then also begs the question: Is the current regulatory structure, erected to generate societal equity through mandated economic pricing, adequate and symmetrical for content delivered through cable/satellite and through digital pipelines? 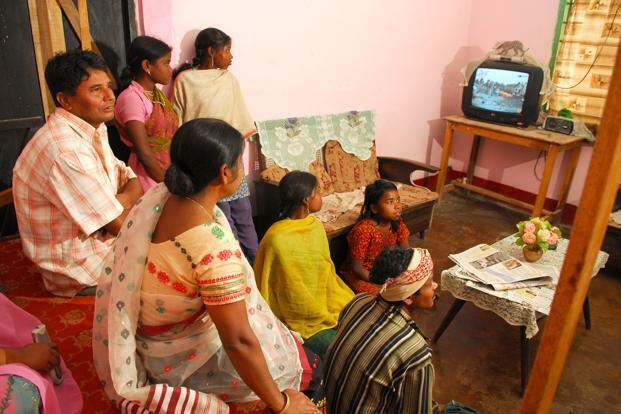 The private television industry in India is of fairly recent vintage. Yet, a vice-like grip of regulators and regulations governs its creativity. The key regulatory institutions overseeing the industry are the ministry of information and broadcasting, the ministry of electronics and information technology, the Telecom Regulatory Authority of India (Trai), the Telecom Disputes Settlement and Appellate Tribunal, the Competition Commission of India, the department of industrial policy and promotion in the ministry for commerce and industry, the Intellectual Property Appellate Tribunal and the department of telecommunications in the ministry of communications. Given the multiplicity of agencies, there is a wide and bewildering assortment of laws, rules and guidelines that govern this sector: Indian Copyright Act, Information Technology Act, Consumer Protection Act, Cable Television Networks (Regulation) Act, plus a labyrinthine web of regulations from Trai. Historically, all attempts to establish an appropriate regulatory regime for the broadcasting and cable industry fell victim to political fragility of the 1990s, till the Centre reclassified broadcasting and cable services as telecommunication services in 2004 and appointed Trai as the designated regulator. Occasional attempts to create an independent broadcasting regulatory authority suffered pre-mature deaths due to political uncertainty. With Trai and so many other agencies, acts, rules and guidelines at play—often at cross-purposes to each other—it is only natural that the playing field gets skewed in favour of those with unequal political bargaining power. In the sector’s infancy, the boundaries were stretched by organizations that employed musclemen and were friendly with political parties. Not all companies were born from this violent crucible, but some of the leading names in media and entertainment rose to prominence from this brutal churning. In addition, as various stakeholders have pointed out, the regulator’s lack of capacity has also led to the current regulatory distortions. According to the KPMG India-Ficci report on Indian media and entertainment industry, 2017, Trai’s March order on inter-connect and pricing of channels may lead to a decline in revenue for broadcasters and might even result in an increased monthly outlay for many subscribers, thereby defeating the very purpose of the pricing model. Clearly, it is time to either upgrade Trai’s capacity or to even start thinking again of an independent and separate broadcasting regulator.